Tethered shooting, is wonderful. The one drawback is the cable, falling out and suddenly you are not tethering anymore. I’ll admit that I often use Wi-Fi to tether these days, but for transferring heavy RAW files a cable is still the best solution. 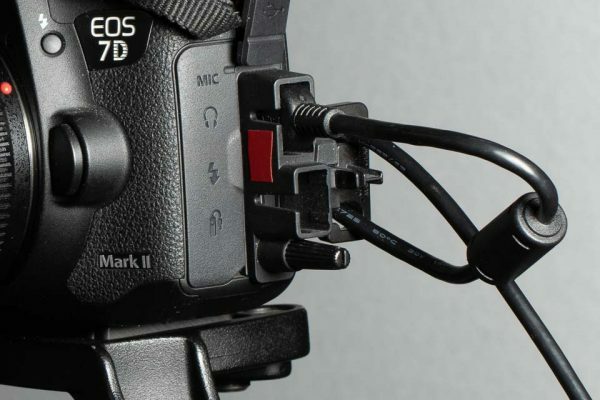 There have been several solutions to the perennial “cable falling out” problems, Canon even added their own solution to the EOS-1Ds Mark III with a heavy duty metal knurled screw and plastic cable keeper. Then along came TetherTools, with the Jerkstopper (Amazon) and made cables stay attached to most cameras. Tether Tools also sell a range of extension cables if you need to be further from your computer. 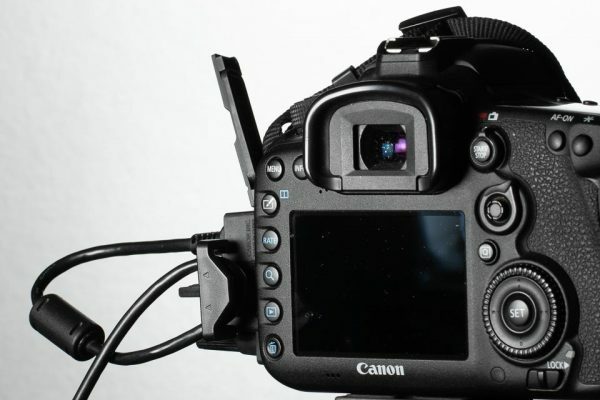 However it’s not the only solution for Canon cameras, the EOS 5DS and EOS 5DS R included an odd bit of plastic that also appeared in the EOS 7D Mark II, EOS 5D Mark IV and EOS R boxes. 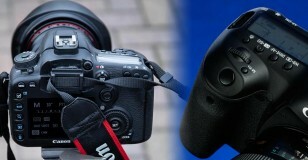 Canon’s solution uses a screw hole in the body next to the HDMI and USB ports. To the screw hole attaches a bit of plastic that takes the strain away from the USB and HDMI ports – and it’s free too. 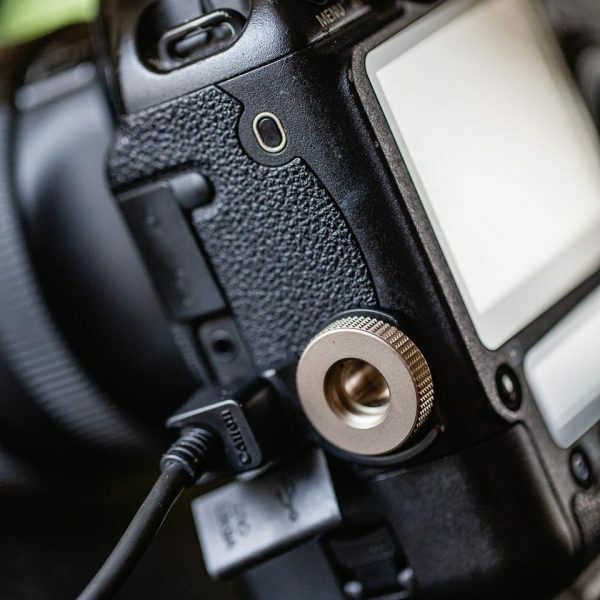 If you’ve ever tried capturing video of yourself, you know that a vari-angle LCD makes life a lot simpler, but the best thing you can do for your audience is improve the sound quality on your vlogs. 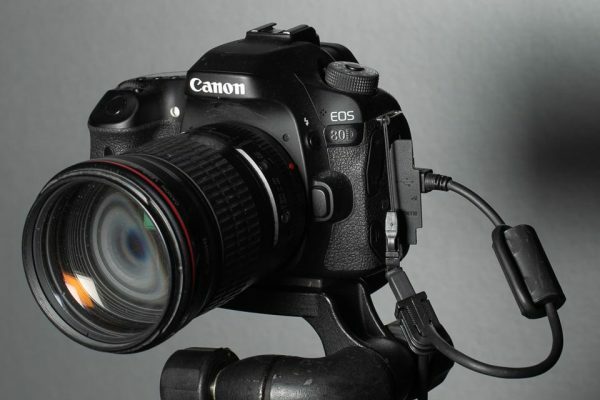 Most of the current EOS cameras have a MIC input, so please make use of it. One of the best out there is the Rode VideoMic Pro+ (Amazon); it has great sound, a rechargeable battery that lasts ages, and it turns on and off automatically when you start recording – genius. 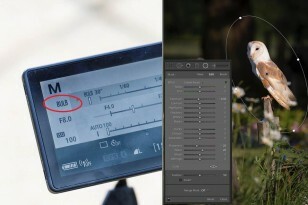 If you’re holding the camera at arms length then set a manual recording level in the camera to keep your voice consistent, the same if you are sat down and the camera is on a tripod. 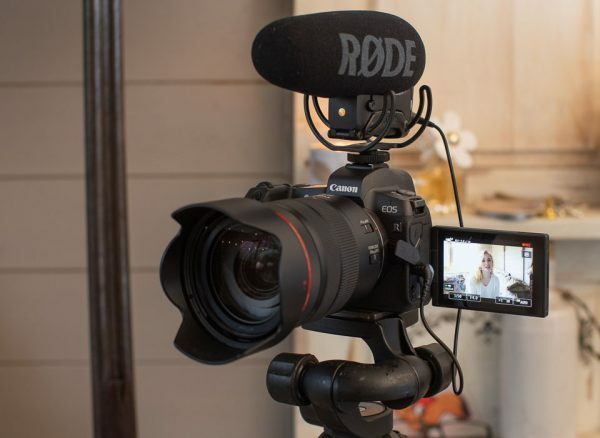 For vloggers, the reason sound is so important is that your voice is more than 50% of your message. What you say is even more important than how the video looks. Think about this… If you watch a video and the picture goes, but the sound carries on you’ll persevere for a while. Yet, if the sound goes and the picture carries on, you’ll give up pretty quick. The Rode VideoMic Pro+ is not cheap, but Rode have plenty of other models that will capture the real sound of your voice and won’t break the bank, some would even fit your phone too.